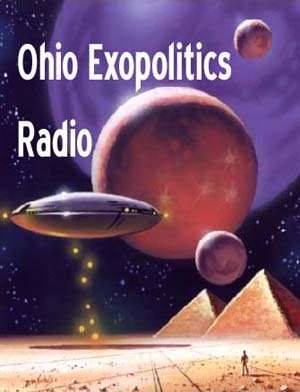 Ohio Exopolitics Radio is focused on bringing the world the information found in the writings of Billy Meier. 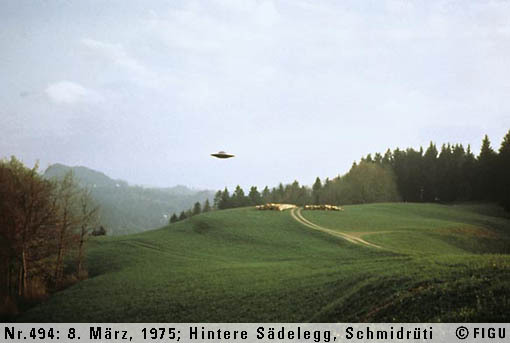 Billy Meier is an eighty one year old man who lives near a tiny mountain village in Switzerland called Schmidruti. 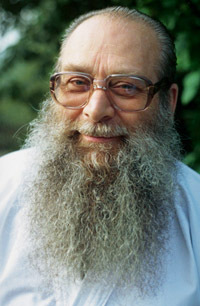 He has written over fourty books , two thousand contact reports and hundreds of bulletins. His books are earth's greatest source of wisdom. 'Billy' Eduard Albert Meier (BEAM) was born in Bülach, Switzerland on the 3rd of February, 1937 and currently resides in building called the Semjase-Silver-Star-Center (SSSC), Hinterschmidrüti, Switzerland. Billy has taken over 1,400 photographs of ships near his home in Switzerland. 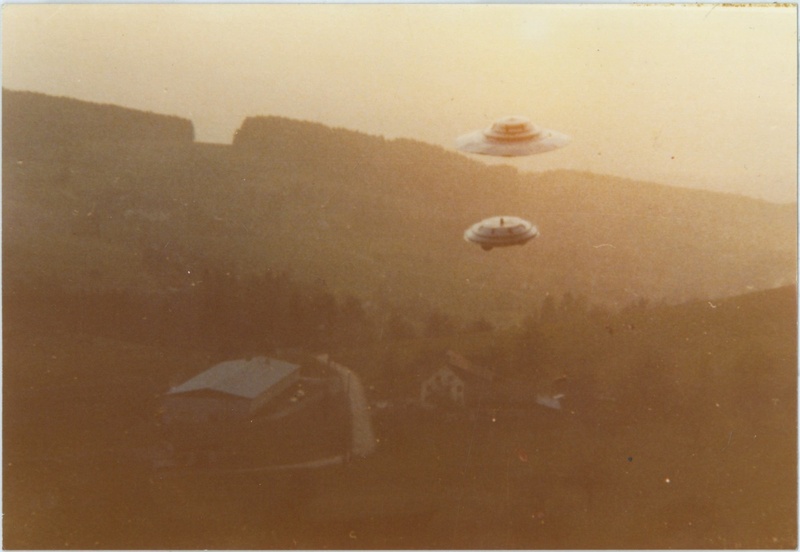 Billy has taken more than 1,400 photographs of ships flying over his home in Switzerland. 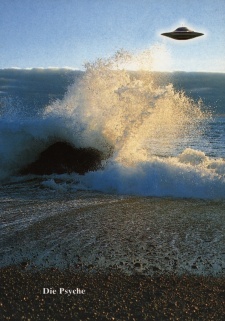 Most of Billy's photographs were taken in the seventies. The photographs of the ships are just a minor part of this case. Perhaps, Billy's most important book is called the Might of Thoughts. The Might of Thoughts book contains information that will help you control your thoughts. This writing teachs us that we should maintain a neutral positive attitude at all times. Being neutral positive means that we are just a little positive but mostly in a neutral state of mind. For example you should be confident but not over-confident. We should be cheerful but still level headed. We should be enthusiastic but still realistic in our point of view. We need to be relaxed but still alert. Billy emphasizes that we need to be confident, optimistic, relaxed, cheerful and enthusiastic. This text tells us that we are the master of our own destiny and forger of our own fortunes. The Might of Thoughts book explains that we should not allow our thoughts to drift but to steer our thoughts like a captain steers his ship. Might of Thoughts - The might of the thoughts is always bound up with corresponding feelings, which do indeed result from the world of thoughts, and, in this combination, they form a deadly might. The fact is that thoughts and feelings exert a monstrous might on the health of the human being and not seldom even determine whether one lives or dies. 4) Therefore, delectation, harmony and happiness as well as everything positive, as well as grief and everything negative are, in the end, only the revelation of how pronounced the striving is in any life-form. This book explains how a human being must strive in order to be happy. This writing tells us what it means to fulfill our duty to ourself. In 500 verses, in sections and explanations, the human being, in his life and aspirations,is brought near to the reader. The presented teaching marks and conveys the way, how the might over oneself and over one’s own destiny can be won. The entire teaching, however, offers still very much more, as its knowledge and its possible applications are unlimited and extend themselves into all areas of the human life. For the fulfilment of this teaching it is of absolute worth that one thoroughly occupies oneself with it and that the necessary time is spent for its study. The study should begin and end daily at the same time, however, it should never take up more than a full 60 minutes. This book explains the material consciousness, the spiritual consciousness, the psyche and the gemut. This writing is really a prerequisite to understanding other of Billy's writings. Psyche is the name for the half-material block and factor, which, in the material body of a form of life - in this case, the human - organises and administers, within itself, in a negative or positive sequence, the thoughts and feelings of the material consciousness. 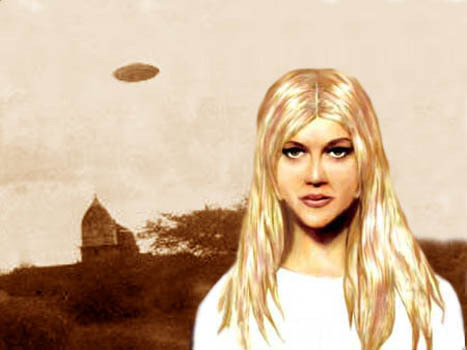 Billy claims to have had contact with extraterrestrial human beings called the Plejaren. They live in a star system known as Plejares. They inhabit a world called Erra. The face to face physical conversations that Billy has had with off world humans are detailed in the Contact Reports. The Contact Reports are important; however, the most practical and important information comes from Billy's books. Four very important books that Billy has written include the following: The Might of Thoughts, The Way to Live, Psyche and The Goblet of Truth . Billy's books are written in German and contain what is called an evolution code which works subconsciously on the reader; however, this occurs only when the books are read in the original German. Nokodemion link for the full size chart. This is a smaller image of a chart that shows the past lives of Billy Meier. 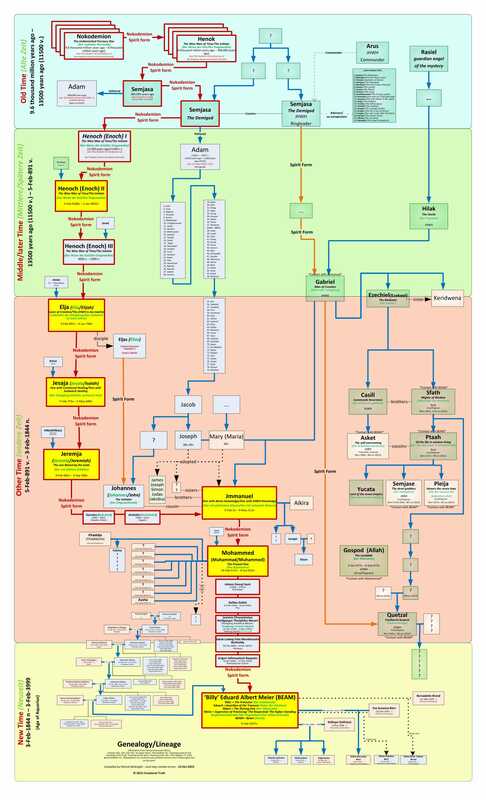 Click the link above to see the full size chart. 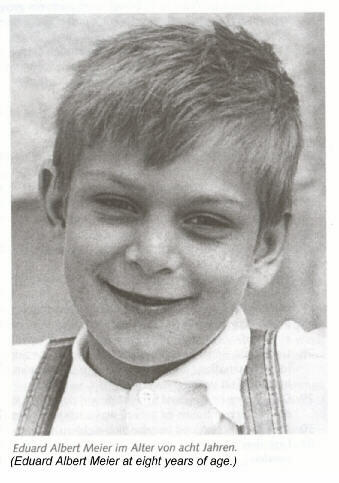 Billy's extraterrestrial experiences began when he was growing up in Bulach, Switzerland. Right around 1944 Billy started to be contacted telepathically by a man named Sfath. Sfath was an man from a world called Erra that exists some eighty light years beyond our Pleiades in a different space time configuration than earth. Sfath eventually landed his strange pear shaped craft in clearing near the woods were young Billy was waiting. Sfath was nearly 1,000 years old and was wearing something that looked like a divers suit. Young Billy was brought up into Sfath's space craft by a technology and later Billy would write that it felt like he was lifted up by "ghostly hands". Sfath took Billy up in his ship into an orbit around the earth. Sfath told Billy about his previous lives where he had been Enoch, Elijah,Isaiah,Jeremiah, Jmmanuel and Muhammad. In each one of these previous lives Billy taught something called the Teaching of the Spirit. 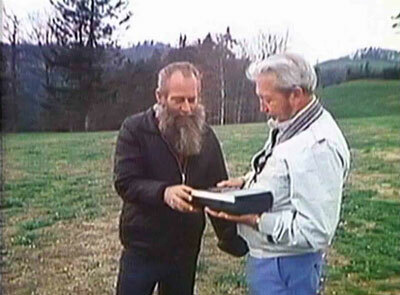 Sfath explained to Billy that during this lifetime he would write down all of the teachings because previously much of this information had been distorted by religions. Sfath taught Billy many things; however, after eleven years Billy would meet his second mentor which was a woman named Asket. 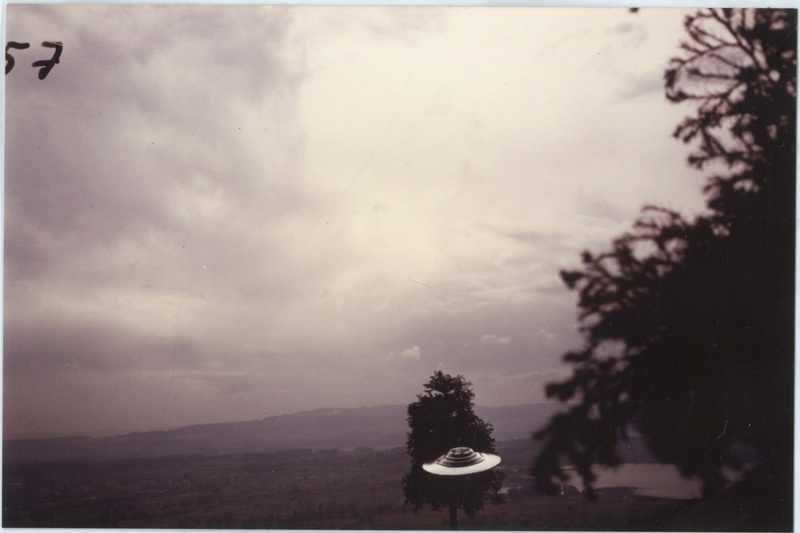 Asket sent a robotic craft to Switzerland right around 1953. On a cold evening, the craft landed on a hill in Bulach Switzerland where Billy would meditate and consider things happening in his life. Billy stepped into the craft and there was a large flash of light. The ship slowly moved off the hill and hovered over Billy's house. The ship shot off to the Middle East and landed in the country called Jordan. Asket landed her ship and then took Billy far below the Great Pyramid into 73,000 year old cubical constructions. Asket was a woman from the Dal Universe. The Dal Universe is our sister universe. The Dal Universe was created fourty six trillion years ago and our Dern Universe was also created at the same time. Asket left the Dal Universe to be Billy's second mentor. Asket sent a robotic craft to Switzerland when Billy was about sixteen years old. This robotic craft landed on a hill one cold evening in Bulach, Switzerland. Billy entered the ship and he could see that there was no pilot. 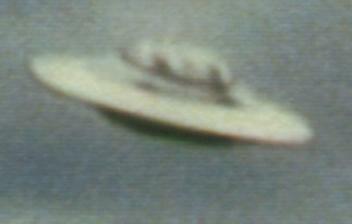 After a large, flash of light, the ship started to move into the sky where it hovered over the house where Billy lived. Billy noticed that he could not see his own body and that he could no longer see the ship anymore. 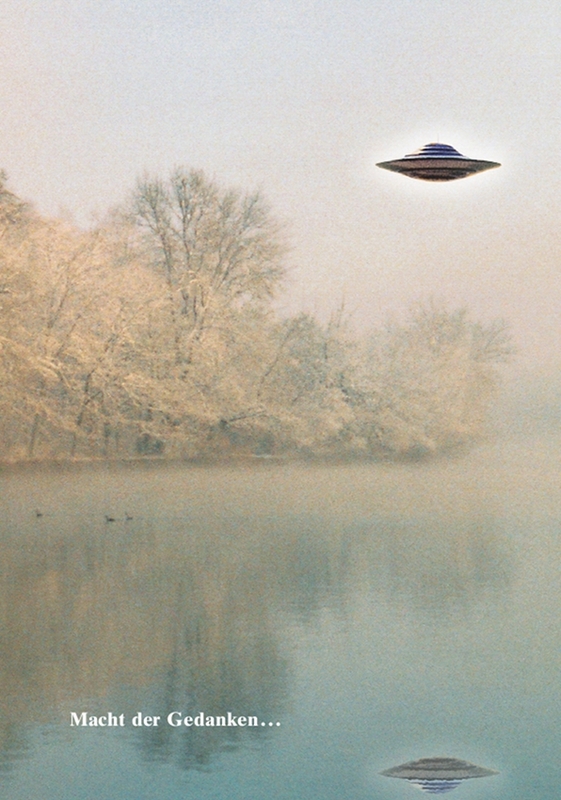 Then the invisible craft took off with great speed towards the Middle East. Billy saw the sun in the night sky, the beautiful circular earth and eventually saw the Indian Ocean. The craft landed in the middle east, in a country called Jordan. Billy stepped out of the craft and felt the heat and saw the red sand which was a great contrast to the cold winter's evening that he was experiencing back home in Switzerland. Billy saw what looked like a falling star coming down out of the sky. The descending light became larger and larger until he realized that he was looking at a disk that was 300 meters in diameter. After a half an hour, Asket stepped out of the ship. Billy felt as if he knew her but could not really remember how that was possible. 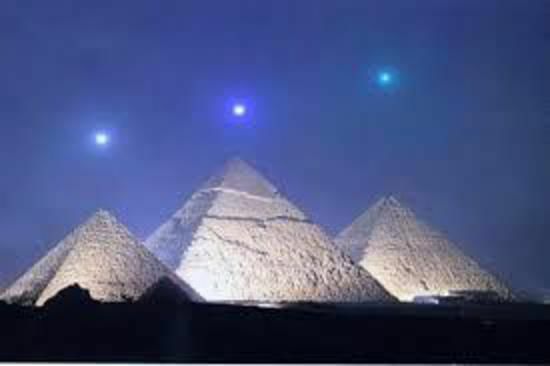 She took Billy into her ship and they landed not to far from the Giza plateau. Asket took Billy far under the great Pyramid into some old cubical constructions that were seventy three thousand years old. These cubical constructions were the home of a group of extraterrestrials called the Giza Intelligences. Far below the Great Pyramid, Billy saw a very large hallway which seemed to be illuminated by a light which came from everywhere and yet nowhere. Billy saw a giant space craft and smaller ships in the incredibly large hallway. He saw strangely dressed guards and what appeared to be artifacts related to the crucifixion of Christ. This experience had a profound impact on Billy; therefore, Asket and Billy spent the next two days discussing what they had seen. After eleven years Billy's meetings with Asket came to and end and she returned the Dal Universe. During the next eleven years Billy would live somewhat of a normal life. He would get married, have three kids and then move back to Switzerland. 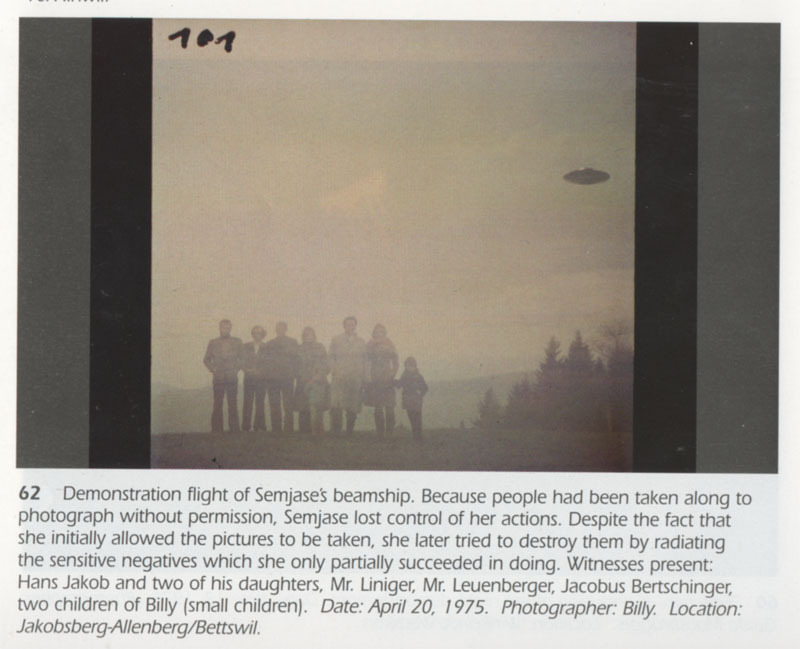 Right around 1975 Billy started to have his first meetings with Semjase. Semjase was a Plejaren woman who had the same home planet as Sfath. 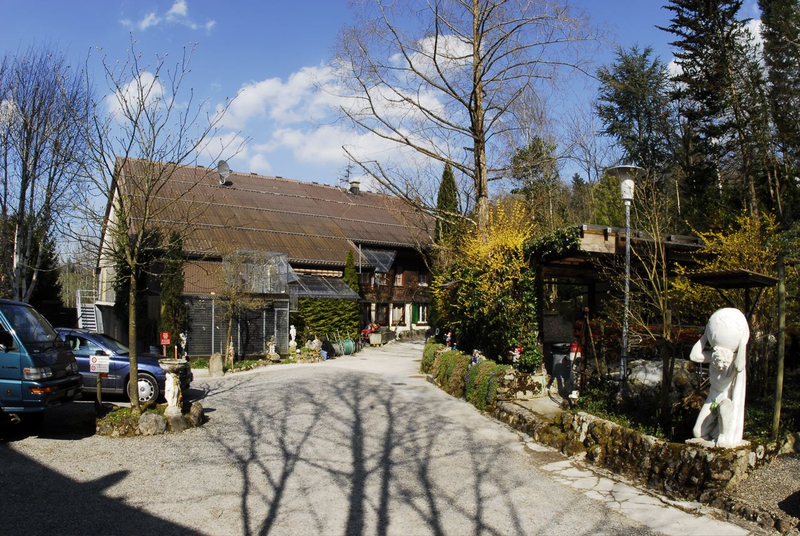 During their initial meetings Semjase would land her ship near Billy's home in Hinterschmidruti. Billy would ride a moped out the meetings and sit down under and tree and wait for Semjase to come out of her ship. Semjase taught Billy many things about Creation, Earth History and The Spiritual Teachings. 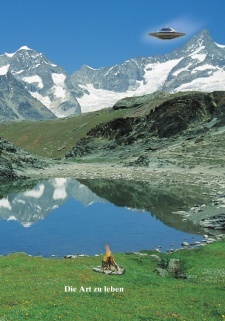 During this time Colonel Wendelle Stevens took a great interest in the case and came to Switzerland to visit with Billy. Later he would bring Lee and Brit Elders so that their private investigation firm could test Billy's photographs, sound recordings. Billy was given a lie detector test which he passed. 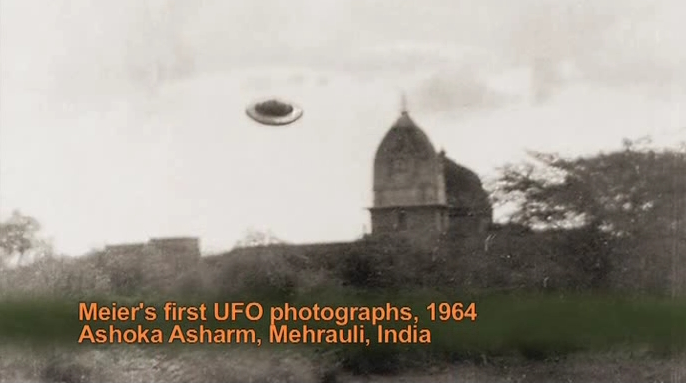 The photographs were tested and proven to be real as were the sound recordings. Wendelle Stevens Investigation into the Meier Case, This is a Good Documentary.